The joint Publishing Scotland and Booksellers Association Scottish Book Trade Conference 2018 will take place on Thursday 22 February at Central Hall, Tollcross, Edinburgh. The conference is the biggest get-together of publishers and booksellers in Scotland. To view the conference programme and book your place, please visit Publishing Scotland’s website here. Huge congratulations to Alan Spence, who was appointed the new Edinburgh Makar this week. 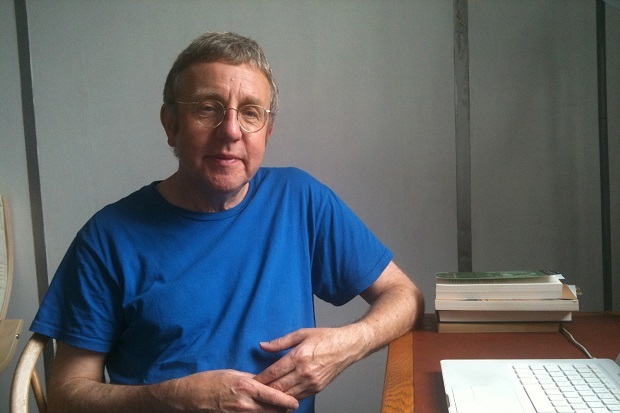 Alan Spence is a highly respected poet, playwright, and novelist, who lives in Edinburgh but was born in Glasgow. He taught creative writing at the University of Aberdeen for nearly 20 years, and his writing spans many genres and themes, often falling somewhere between literature and philosophy with poetry inspired by Zen and meditation. His writing covers many forms including haiku and tanka, often in collaboration with artists such as Elizabeth Blackadder and Alison Watt. His most recent novel is Night Boat, published by Canongate, and is based on the life of Zen master Hakuin. He said: “I am delighted and honoured to be nominated as the fifth Edinburgh Makar, the Poet Laureate for this wonderful city that has been my home for over 40 years. The outgoing Edinburgh Makar, Christine De Luca said: “I am delighted that Alan Spence is to be our next Makar. Besides being a wonderful writer, he is out-going and generous-hearted. I’m sure he’ll take the role in fascinating new directions. The Edinburgh Makar is a civic post instituted in 2002 by the City of Edinburgh Council. The writer is selected and nominated by representatives of the Scottish Poetry Library, Scottish PEN, The Salite Society, Edinburgh City of Literature Trust and the City of Edinburgh Council. They serve a term of three years.